Diceus Client Reviews, Rating and Analysis Report. 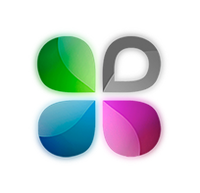 Diceus is a leading enterprise product development and service company headquartered in Vilnius, Lithuania, and Kiev, Ukraine. Established in 2011 our company has a strong physical presence in the region and an enduring investment in its infrastructure and people. I decided to find a way how I can get a real feedback about my services from my customers 3 years ago. The first two companies disappointed my expectations. Because it was a hard to organize the team working day, no responsible persons, not enough resources and etc. Finally I saw a Diceus company on the horizon. They helped me to create a great product without any issues. All scope of work was finished before a deadline and it was a pleasure for me working with them. Thanks' their team for a good and a fast job.